Most people have their phones with them all the time. They are used to relying on their phones to get the information they need and get notified of important events that happen every day. There is really no better way of making contact with customers and getting that great of a reach. However, it’s impossible to achieve such great results if the SMS messages themselves are no good. There are no universal standards for good SMS marketing messages, as all audiences, businesses, and the desired results are different. Still, there are many SMS templates that were used effectively in the past by various organizations. 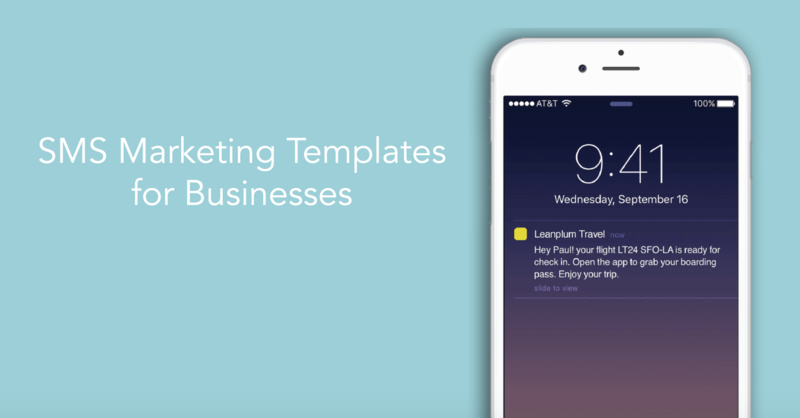 Today we will share some of the best sample text messages for businesses. Promotional business SMS messages are one of the most popular types of text, as they quickly inform consumers about some urgent news. They can easily get the attention of a reader and make them do something, as they end with a very strong call to action. 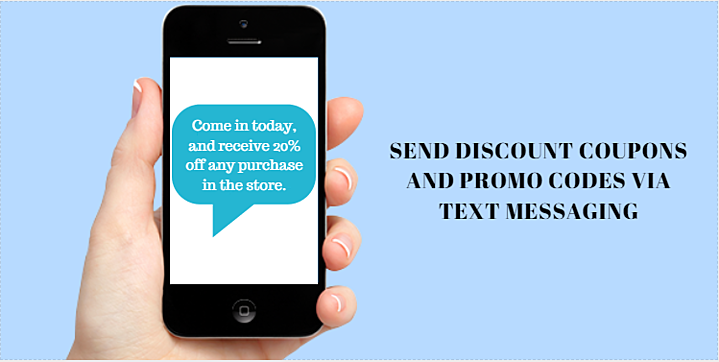 Text messages can promote an event, call attention to promotions, discounts, or the arrival of new products or services. Big news! Lucky’s boutique is offering a special promotion! If you shop at our store, every next product is 10% cheaper! Visit us before the promotion ends on July 25th. Get a 30% off on your first purchase on “TechSmart.com”, text “TSDiscount” to 5555 and you will receive your discount coupon. Haven’t started your holiday shopping yet? Visit Clothing Yard and get any item in our store at a 30% discount. This promotion lasts until December 1st. These SMS messages are sent to people who are already customers, informing them about something that a business has provided for them. Companies do this to build trust with their customers and show them that they are highly professional. It doesn’t matter whether the consumer knows who is sending them SMS messages, it’s important to provide all the information to them so that you stay relevant in their minds and keep subscriber loyalty. Dear Mrs. Jordan we are informing you that your package has been shipped and that it will arrive in the next three days. Track your order here (address), sincerely yours, (business name). We are sad to inform you that your dental appointment scheduled for January 26th at 05:00 PM has been canceled, as Dr. Towns is having health issues. 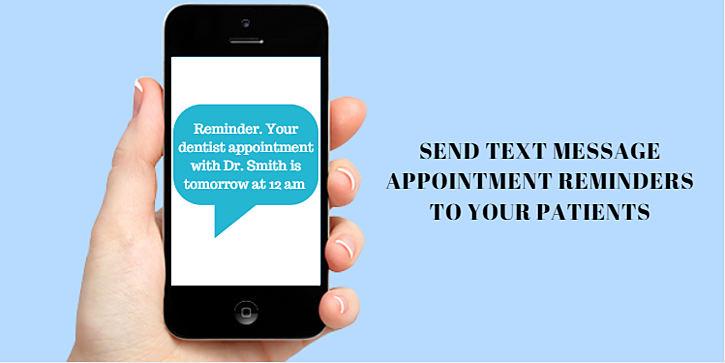 If you want to schedule an appointment with another dentist go to (link). Dentists Next Door. Your payment is being processed as we speak. It might take some time until your funds are ready to be used, check your account in an hour. Easy Online Banking. Modern consumers read, see, or hear so much information every day that it’s impossible for them to remember something important about your business. This is why it’s your job to remind them and give them accurate information. We are informing you that your subscription is going to expire by the end of this month. Send a “subscribe” text to “12345” to extend your subscription. Your doctor’s appointment is scheduled for January 13th at 3:00 PM with Dr. Parsons, to cancel or change your appointment call us at 333-555-111. HealthMedic Clinic. Banking is an industry with unique business SMS needs. This is because they work with finances and customers check their finances almost every day. After all, they are very important. In this world, customers don’t want to read long promotional text messages, they want simple and short pieces of information that can quickly tell them what is happening. It’s important to be accurate with all the numbers. Dear Mrs. Parkinson, your bank account has received a payment of $2000 from an account number (number here) on 07.25.2018. at 10:00 AM. Star Line Bank. BBank: the current balance on your account is a total of $899.56. If you want to check your account yourself and learn more go to: BBank.com/signin. One of the best ways to improve your business, sell more and improve marketing efforts is to get more feedback from customers. A poll can be a valuable tool for learning how consumers feel about your brand, about your product, services, or a way to learn more about them in general. It’s quite simple, create a poll and post it online and then send SMS messages to your consumers so that they can vote in the poll through a text message. Which of our last year’s products did you enjoy the most? At TechMart we value your opinion so help us help you! Which is your favorite movie of the year? These are some of the most widely adopted sample text messages for business organizations that have success in SMS marketing. Take your time and work on creating quality messages that will engage your audience. It takes time to come up with a perfect formula, so don’t be discouraged if you don’t instantly get the results you want. Are you a newbie marketer looking to turn up trumps in your first campaign? Don’t you yet know how exactly to build your marketing strategy to get the best results? Well, you are not alone. All marketers out there, no matter how experienced they are, want to stand out from others doing a great campaign and creating a buzz that will be heard in the deafening noise of promotional clutter.